The Fortymile mining district encompasses a the drainage of the Fortymile River, approximately 1,600 square kilometres. The Fortymile is a relatively large river with a channel width of 600 to 800 feet in its lower reaches. It empties into the Yukon River approximately 46 miles downstream of Dawson City in the Yukon Territory. The Fortymile mining district straddles the Alaska/Yukon border, lying along the 66th latitude. Much of the area lies in a permafrost zone, typical to the region, although some areas which have better sun exposure are thawed. The whole district is more or less auriferous, containing both hardrock gold and placer gold in varying concentrations throughout the area. The Fortymile district hosted the first gold rush in the Yukon/Alaska area. Placer miners have been active in the district from the time of the discovery of gold there in 1886 until the present day, and it has become a well known as a gold producer. The remains of historic gold mining ventures are evident along the river. These includes hundreds of cabins, and their associated gold workings, the remains of several bucket-line gold dredges and other related artifacts. 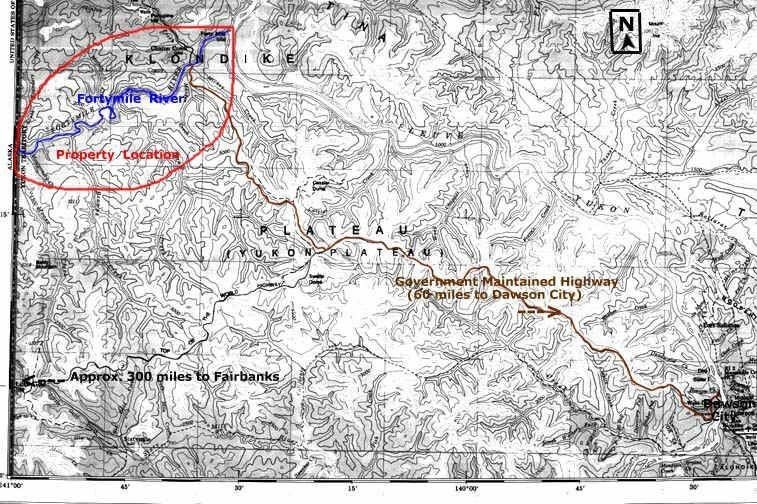 The property is accessible by a government-maintained all weather road linking it to Dawson City, a distance of 60 miles. There is a ferry crossing the Yukon River at Dawson City which is operated free of charge 24 hours per day. The scenic Top of the World highway and Clinton Creek roads lead to the Fortymile River property. Access to the property is shown on Map 2 - Topographic map. Dawson City, located in the heart of the Klondike gold fields, provides services and supplies required by the placer industry (for example fuel, heavy equipment service and parts, machine and welding shops, groceries, and medical facilities). Because of its proximity to Alaska, service and supply could be obtained from across the border as well. We have built a network of roads throughout the property to establish access over most of the claim block. 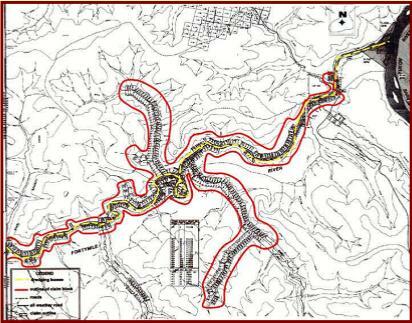 There are approximately 50 miles of privately built road providing access to the property. 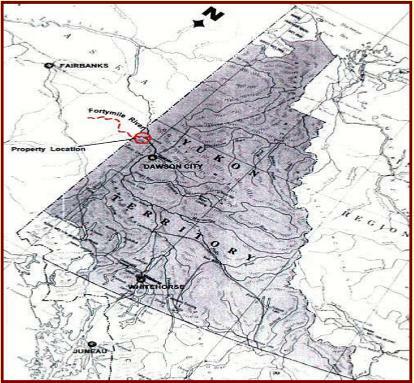 The Fortymile placer concession encompasses most of the minable reserves on the Canadian section of the Fortymile River, a length of approximately 23 miles. 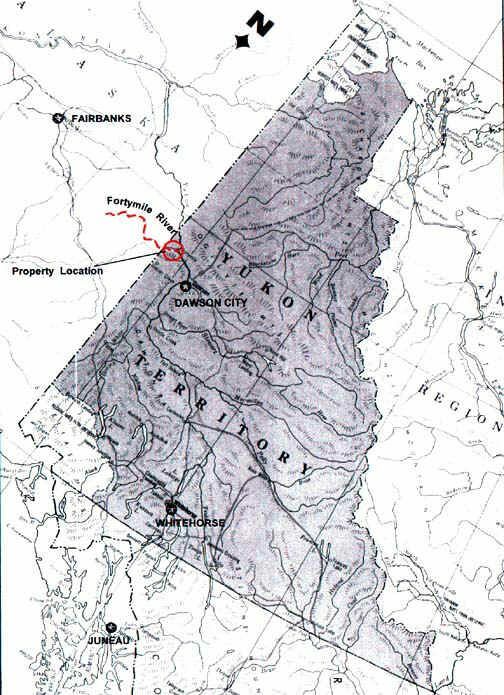 The location of the Fortymile River is shown on a Map 1 - Location in Yukon. 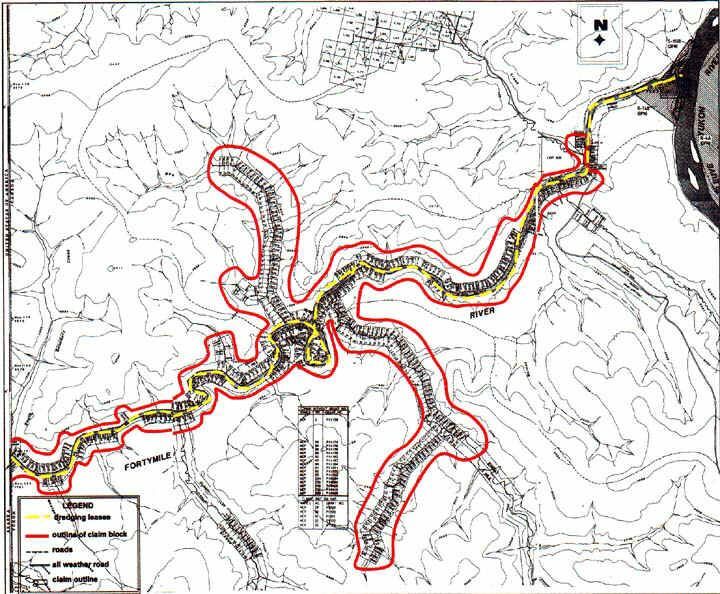 The route from Dawson City is shown on Map 2 - Topographic Map. The property is outlined on Map 3 - Claim Sheet 116C-07P. For a description of the property, please see Placer Property for Sale. Long term mining permits are in place for several deposits. We have a water license to mine the gravel encompassed by the dredging leases. We also have a water license covering some of the terrace ground adjacent to the river. 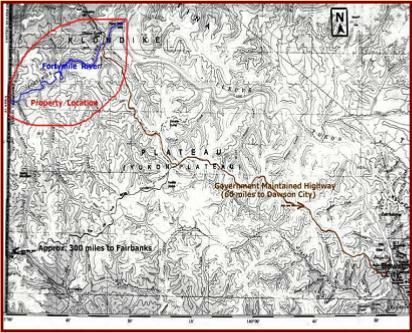 Additionally, we have a water license to mine the Marten Creek placer deposit. We have banked assessment work with the mining recorder's office to maintain the property in good standing. Approximately 1/2 million dollars of excess assessment work has been banked against the concession. Because of the northern latitude of the location, gravel processing is only possible in the spring, summer and fall months, from May until into October, when water is flowing. Stripping and ground preparation is undertaken in the spring and later in the fall, when overburden can be removed while it is frozen and stacked out of the way of the gravel to be mined. During the cold winter months, camps are usually shutdown and the work force is laid off. For most of the summer mining season it is daylight for 24 hours a day; many operations will run around the clock during this period.